Buy Bay leaf/myrcia microwave dryer&sterilizer--industrial microwave equipment - Shandong Leader Machinery Co.,ltd. Mainly used in the chicken, beef, pork flavor, yeast extract, condiments, spices ( pepper, rice flour seasoning flavoring compound; Wang Lucai; five spice powder; king; black pepper;fennel, food additives, flavor powder, seafood, spices ( kelp, seaweed, fish, shrimp, crab ), heating, drying and sterilization process;Also applies to pepper, chili powder, Cara crumb.Microwave drying features:Short drying time, strong flavor of the product; low drying temperature, uniform, bright color of products; selective heating.Because water molecules absorb microwave best, so the high water content, absorb microwave power more than the lower part.This is a selective heating characteristics, the use of this characteristic can be done evenly heating and uniform drying; drying moisture direction from the inside to the outside.So, microwave drying has puffing effect , have a great help for subsequent crushing ; save energy and efficient.Microwave sterilizing features:Time is short, fast: conventional thermal sterilization heat from the surface to the interior of the food by conduction, convection or radiation. To achieve sterilization temperature, need longer time usually.microwave sterilization is microwave energy and food and bacteria and other microbes interact directly, the thermal effect and the non thermal effects interact, to achieve rapid heating sterilization, processing time is greatly shortened, the bactericidal action of various materials is 3-5 minutes.Low temperature sterilization maintain nutrition and traditional flavor, microwave food sterilization equipment can replace steam sterilizing device, which can effectively reduce the material sterilization temperature, generally only about 80 degrees, only 3-5 minutes to achieve complete sterilization, reach preservation and prolong the shelf-life of the role.And equipment fully compliance with the food industry QS certification standards.,we also have CE certificate. 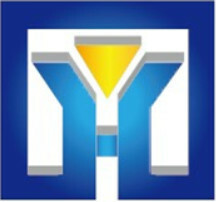 Safety, health, environmental protection is the main characteristics. And it can effectively reduce the area and saving cost. , covering a large area, many employees, often have the pollution, fire control, etc. Our company has engaged in producing and exporting Bay leaf/myrcia microwave dryer&sterilizer--industrial microwave equipment for many years, and until now, our machine has exported to overseas market, such as Brazil, India, Indonesia, Russia, Thailand and so on, and get the foreign customers' unanimous praise. We believe that you purchase shandong leader machinery co.,ltd. 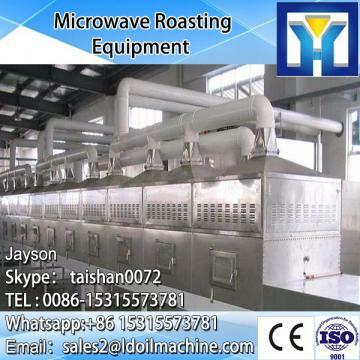 Bay leaf/myrcia microwave dryer&sterilizer--industrial microwave equipment is your best and sensible choice.